↑ "[...] जन गण मन भारत के राष्ट्रगान हऽ, समय पड़ले पर जइसनो सरकार निर्धारित करे एक शब्द बदलाव के बिसय बाने; आ गीत वंदे मातरम्, जवन भारत के आजादी के संघर्ष में इतिहासी भूमिका निभा चुकल बा, के जन गण मन के बराबर इज्जत मिले के चाहीं आ एकरा के बराबरी के दर्जा होखी।Constituent Assembly of India 1950. ↑ "The country's exact size is subject to debate because some borders are disputed. The Indian government lists the total area as 3,287,260 किमी2 (1,269,220 वर्ग मील) and the total land area as 3,060,500 किमी2 (1,181,700 वर्ग मील); the United Nations lists the total area as 3,287,263 किमी2 (1,269,219 वर्ग मील) and total land area as 2,973,190 किमी2 (1,147,960 वर्ग मील)." Library of Congress 2004. ↑ "...majority rule is tempered by minority rights protected by law"
↑ 3.0 3.1 3.2 National Informatics Centre 2005. ↑ Ministry of Home Affairs 1960. ↑ 5.0 5.1 "Profile | National Portal of India". India.gov.in. पहुँचतिथी 23 August 2013. ↑ "Constitutional Provisions – Official Language Related Part-17 Of The Constitution Of India". National Informatics Centre (Hindi में). ओरिजनल से 1 February 2016 के पुरालेखित. पहुँचतिथी 27 December 2015. ↑ "Report of the Commissioner for linguistic minorities: 50th report (July 2012 to जून 2013)" (PDF). Commissioner for Linguistic Minorities, Ministry of Minority Affairs, Government of India. 8 July 2016 के ओरिजनल से पुरालेखित (PDF). पहुँचतिथी 26 December 2014. ↑ 22.0 22.1 Kuiper 2010, p. 86. ↑ Barrow, Ian J. (2003). "From Hindustan to India: Naming change in changing names". South Asia: Journal of South Asian Studies. 26 (1): 37–49. doi:10.1080/085640032000063977. ↑ 29.0 29.1 Singh 2009, p. 181. ↑ 31.0 31.1 31.2 Singh 2009, p. 255. ↑ 32.0 32.1 Singh 2009, pp. 186–187. ↑ Singh 2009, p. 200. ↑ 37.0 37.1 Singh 2009, pp. 250–251. ↑ Singh 2009, pp. 260-265. ↑ 45.0 45.1 Singh 2009, p. 319. ↑ 54.0 54.1 54.2 Singh 2009, p. 545. 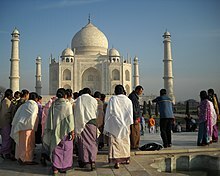 ↑ "History : Indian Freedom Struggle (1857-1947)". National Informatics Centre. पहुँचतिथी 2007-10-03. And by 1856, the British conquest and its authority were firmly established. ↑ Khan, Saeed (25 January 2010). "There's no national language in India: Gujarat High Court". दि टाइम्स ऑफ इंडिया. पहुँचतिथी 5 May 2014. ↑ "Learning with the Times: India doesn't have any 'national language'". 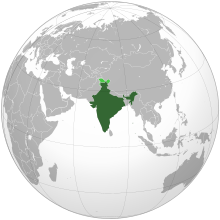 ↑ Press Trust of India (25 January 2010). "Hindi, not a national language: Court". The Hindu. Ahmedabad. पहुँचतिथी 23 December 2014. ↑ "In RTI reply, Centre says India has no national game". पहुँचतिथी 4 August 2012. ↑ 66.0 66.1 Sharma 2007, p. 31. ↑ 69.0 69.1 Sharma 1950. ↑ 70.0 70.1 Sharma 2007, p. 162. ↑ 76.0 76.1 Neuborne 2003, p. 478. ↑ 80.0 80.1 80.2 80.3 80.4 Library of Congress 2004. ↑ 82.0 82.1 82.2 82.3 Ali & Aitchison 2005. ↑ 89.0 89.1 Kumar et al. 2006. ↑ 96.0 96.1 Chang 1967, pp. 391–394. ↑ 106.0 106.1 Organisation for Economic Co-operation and Development 2007. ↑ 107.0 107.1 Gargan 1992. ↑ Sakib Sherani. "Pakistan's remittances". dawn.com. पहुँचतिथी 17 December 2015. 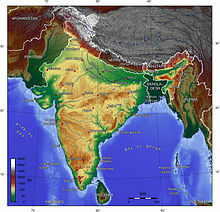 ↑ दि टाइम्स ऑफ इंडिया 2009. ↑ UN Comtrade (4 फरवरी 2015). "India world's second largest textiles exporter". TechCrunch. economictimes. पहुँचतिथी 2 जून 2014. ↑ 117.0 117.1 Heehs 2002, pp. 2–5. ↑ Johnston, Bruce F. (1958). The Staple Food Economies of Western Tropical Africa. Stanford University Press. प. 14. ISBN 978-0-8047-0537-0. पहुँचतिथी 2 जून 2012. ↑ Cornillez, Louise Marie M. (Spring 1999). "The History of the Spice Trade in India". ↑ 156.0 156.1 Medora 2003. ↑ 157.0 157.1 Jones & Ramdas 2005, p. 111. ↑ "Woman killed over dowry 'every hour' in India". telegraph.com. 2 September 2013. पहुँचतिथी 10 February 2014. ↑ "Rising number of dowry deaths in India:NCRB". thehindu.com. 7 August 2013. पहुँचतिथी 10 February 2014. ↑ दि टाइम्स ऑफ इंडिया 2010. ↑ "Most of U-17 World Cup stadia need major renovation: FIFA team". दि टाइम्स ऑफ इंडिया. 20 February 2016. पहुँचतिथी 18 जून 2016. ↑ "Basketball team named for 11th South Asian Games". Nation.com.pk. 2 January 2010. पहुँचतिथी 8 मार्च 2013.